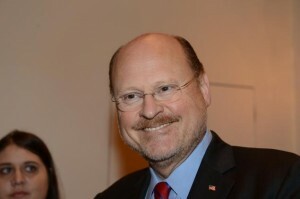 Joe Lhota was a former deputy mayor for Rudy Giuliani who was at his side during the dark days of the 911 attacks. : As first deputy mayor he stood firm during a traumatic time and his leadership skills shined. : His mettle was tested and he passed with flying colors. 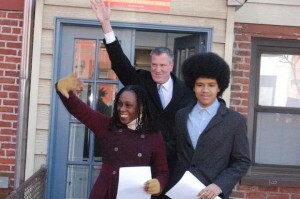 However, his mixed race son, Dante, does have a very big Afro. : And that Afro plus the fact his wife is African American and a former Lesbian, was enough to make several progressive constituency groups for gaga in the Democrat Primary.